Welcome Transitioners! 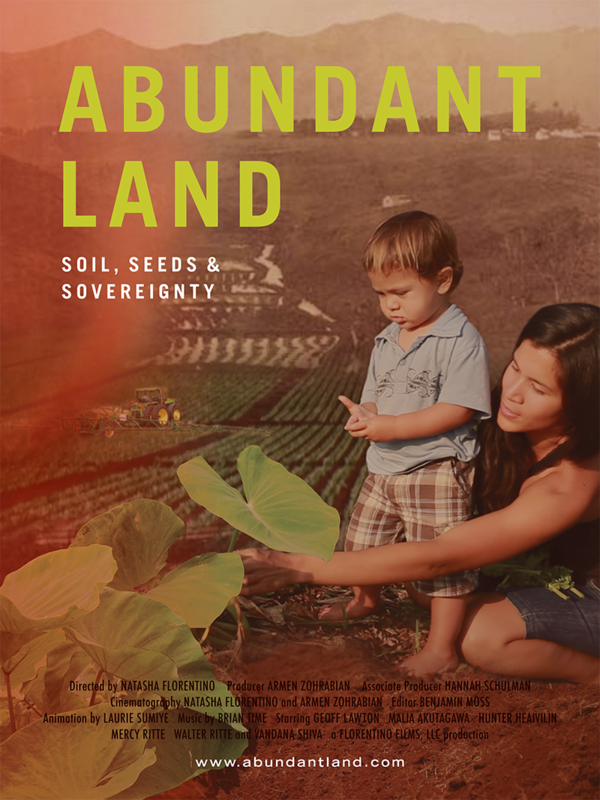 We have partnered with Transition US to offer any organizer and member the opportunity to host a screening of the film, Abundant Land, for free throughout the months of February and March. Abundant Land is a 60 minute documentary that follows a group of Hawaiian residents on the island of Moloka’i as they oppose the biotech industry's use of their land to test genetically engineered seeds, and work to restore an integrated food system based on permaculture and ancient Hawaiian farming practices. Featuring: Vandana Shiva, Geoff Lawton, Hawaiian rights activist, Walter Ritte and Native Hawaiian scholar, Malia Akutagawa. Click here to view trailer. Enter the info below to arrange the screening.